The electric system is made up of thousands of components connected together that are mostly electromechanical and its functionality can be affected by weather conditions. The most important characteristics -of the momentary conditions we call weather- taken into account in the electric industry are humidity, temperature and pressure, wind speed and direction, contamination, among others. The importance of each characteristic of weather varies depending on the grid level and stage, which can be divided into three: power generation, transmission and distribution. Most mechanical or electrical devices have an operating temperature which is the temperature at which the device will operate effectively. Transformers, electric motors, among others, could get seriously damaged if the ventilation is poor. It’s important to grant good ventilation and cooling for every single element that requires it. Temperature also affects metals in numerous ways. When the temperature of a conductor goes up the resistance goes up, consequently, the resistance and the temperature in a metal are directly proportional. While designing a transmission line, those factors must be taken into account given that the cable conductor could expand or contract according to the temperature causing the line to violate minimum clearance between the line and any obstacle. Considering that temperature varies several times within a day, at some point the cable length will change permanently. This is called “Creep Effect” and it can be predicted to avoid clearance restrictions in the future. Low pressure increases the ionic and electronic mobility, so this condition favors corona inception in transmission lines. In transmission line design, wind speed and direction take an important role. The temperature rating of a cable conductor sets the thermal limits that the conductor can withstand without causing serious damages to the conductor or failures in service, so we need to verify that the cable chosen won’t be operating outside its limits by making a steady-state temperature calculation. The wind speed has an important effect on the thermal energy dissipation flux at the outer surfaces of the cable, so it must be considered in the thermal analysis. The wind pressure also got an effect on sag which needs to be taken into consideration while performing sag calculations. The pollution on insulators is one of the biggest problems for power transmission. 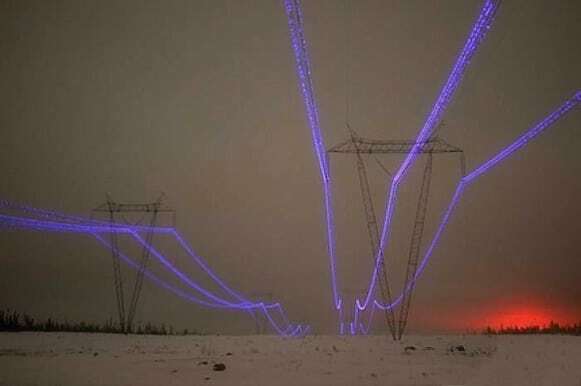 The pollutants that exist in the air settle in the surface of the insulator becoming conductor and allowing the pass of currents that could facilitate the conditions of short circuit. The degree of pollution is generally determined by measuring the equivalent salt deposit density (ESDD) and non-soluble deposit density (NSDD) in the area of interest and later used to determine the type and number of insulators to be used. or copy this trackback: http://engineering.electrical-equipment.org/others/5-impacts-of-weather-on-power-electrical-systems.html/trackback from your own site. The tools used by design offices are WACK: here’s the proof!